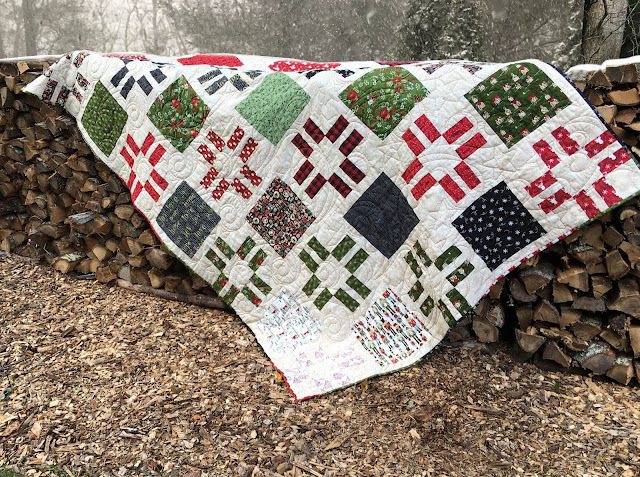 San Francisco Stitch Co.: Can a quilt be a quick Christmas gift? 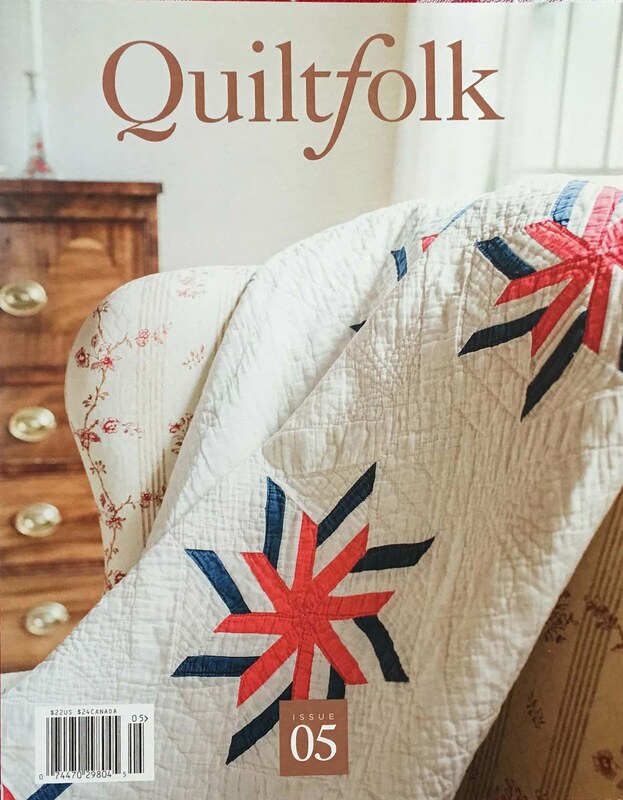 Today we are stitching along with the Fat Quarter Shop to see if a quilt can be a QUICK Christmas gift! a layer cake and 3-1/2 yards of background fabric is all you need to get started. You can see that half of the blocks are just plain layer cake squares and the other half are deconstructed nine patches. Simple, right? 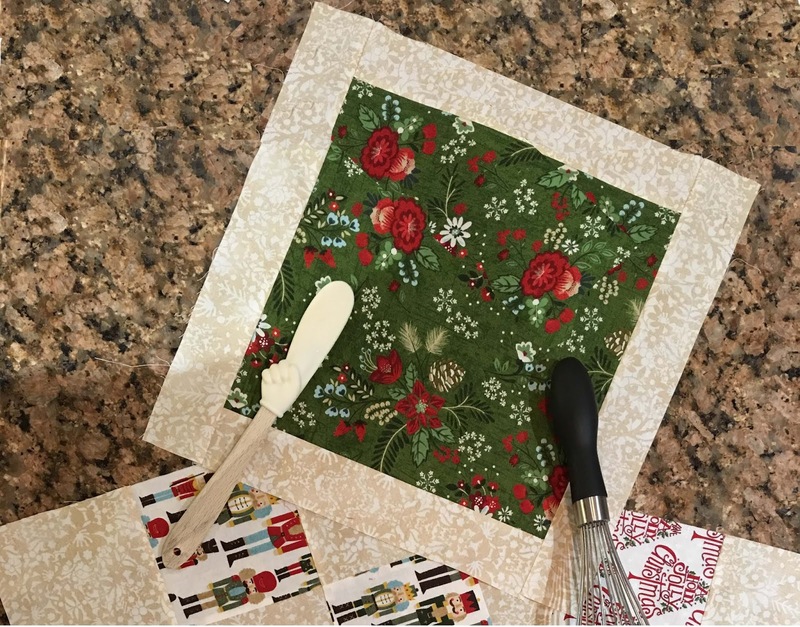 I love Christmas fabric— every year, multiple favorite designers put out a new collection which results in a quandary— which to buy? Fortunately, the Fat Quarter Shop has taken the pain out of that decision with their curated collections. We found this one— HOT DOG!— some choice Christmas prints from three different designers. Problem solved. And FQS must already have a delivery drone—it always seems like the package is on our doorstop the next day! The pattern certainly looked hopeful— no triangles, and very few points to match up. Cutting was a breeze—my bestie Tere helped. I usually don't cut an entire quilt out in one sitting, but under her tutelage I did— a definite time saver-- we logged in about an hour and half. On to block making. Seventeen blocks were simple layer cake squares with a little frame around them... easy peasy.. and they show off beautiful prints so well. The addition of the frame insures you are not going to have to match points in those corners. Those blocks took a couple of hours. I really put the pedal to the metal on all of those straight seams. 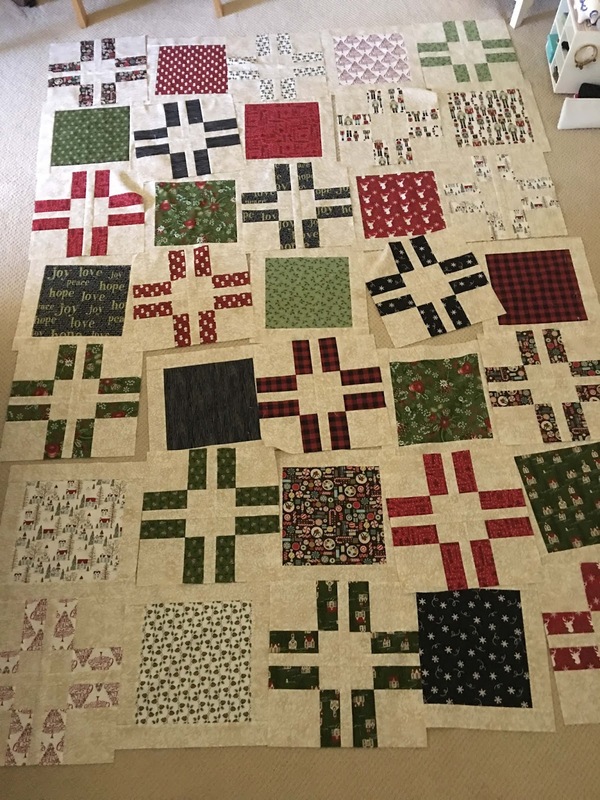 I have never made deconstructed blocks before-- taking a rotary cutter to a perfectly good nine patch goes against my grain. Once I got over my inhibitions, it was fun and easy. 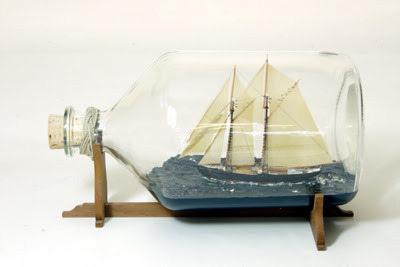 Elapsed time for this project, about six hours, just putting in a hour here or there. Layout time! That's my favorite part and this was easy— I just divided the blocks into reds, blacks, whites, and greens, and since this pattern has such a diagonal feel to me, layered the colors out in stripes. Final assembly took about another 2 hours. I was planning on just doing some easy straight line quilting on the diagonal— but at this point, I am liking this SOOoooo MUCH and am so far ahead of deadline, I decided to give it an upgrade, and send it to my favorite longarmer, Sara Velder of Acorn Ridge quilts. Sara is the one who quilted my prize winning Judy Niemeyer quilt. This time, she’s just doing an edge to edge— Since those plus sign patches remind me of blinking lights, we're going with a star pattern. Once again, Sara had it finished in just a few days.